Are the Ariel Atom V8 and Caterham Seven RS not fast enough for you? Well, you’re crazy, but we might have the answer for you. 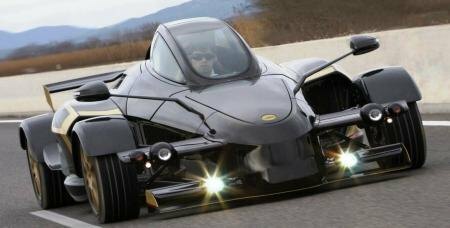 A relatively unknown Spanish company called Tramontana has developed a monster. They took a Mercedes-sourced twin-turbo 5.5-liter V12 producing 720 horsepower and placed it in a completely carbon fiber chassis, then covered it in a body made completely from…you got it…carbon fiber. Alright, we have a huge 720 horsepower engine sitting in a frame that weighs as much as a shoe. The total weight of the car is actually rather high for its size, however, at 2,795 lbs. I’m sure most of that is the engine. Even the 20-inch wheels are made from carbon fiber (and magnesium) to keep weight down. Now, that actual performance numbers aren’t quite what I expected. 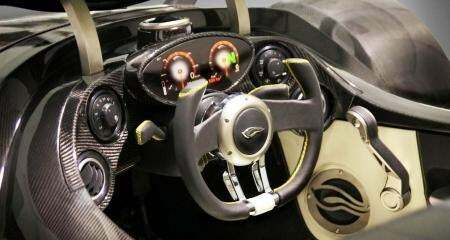 According to Tramontana, the 0-62 mph time of the car is 3.6 seconds, and the top speed is 201 mph. While these numbers are generally very fast, I admit I did expect faster times than that considering the power-to-weight ratio is insanely high. The Tramontana is controlled via a 6-speed sequential gearbox and sticks to the road courtesy of a 4-wheel independent Ohlins adjustable suspension. There will only be 12 of these made per year, and expect to pay a rather hefty sum of about $500,000 each. But for a self-proclaimed “combination of a Formula 1 racing car and a fighter jet,” this might just be the perfect track car. 5 Comments on "Tramontana R Edition – A Carbon Fiber V12 Monster"
At first sight it seems wicked cool, but the more I look at it, the more I realize that I don't like it. 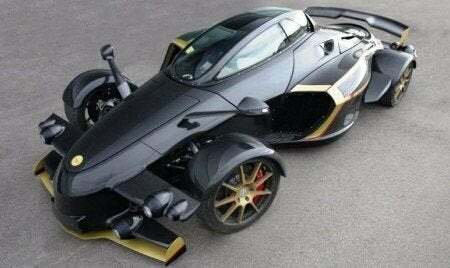 Looks too much like the Ariel Atom/Caterham 7 (that is, too "race" to be a car), and I wouldn't consider it a supercar. But some people like that look…. It's no looker, that's for sure, and it definitely is going after the same "racy" look as the Ariel, Caterham, and KTM X-Bow. I bet it's a blast at the track, but I wouldn't ever buy one. The interior looks designed for appearances – I wouldn't want to trust it at 150 MPH. Half a million US dollars for a vehicle that would be trounced by the Ultima 720 GTR, whch weighs just 2310lbs and costs 20% of the price of the Tramontana. I appreciate that the Ultima is self assembly, but not $400K extra in construction costs. You can get a convertible as well. Wow looks like an amazing buy… but it makes me wonder, why someone wouldn't look at a bugatti or a Ferrari at that price? Tramontana isn't as famous as the likes of Bugatti, isn't it? But, it's quite impressive that folks still shell out so much of money to buy it!! !